The Inn on the Beach - the place exudes charm, fun and values of a good English pub with all the style and comfort of a boutique hotel. The very best of seaside gastro-pub food and real ales complemented by accommodation, dog friendly facilities and activities to ri�val the finest hotels in the country. 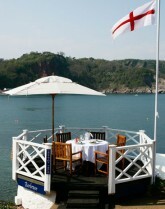 All set within Babbacombe Bay in Devon. Hearty breakfasts, long lunches and lazy suppers. 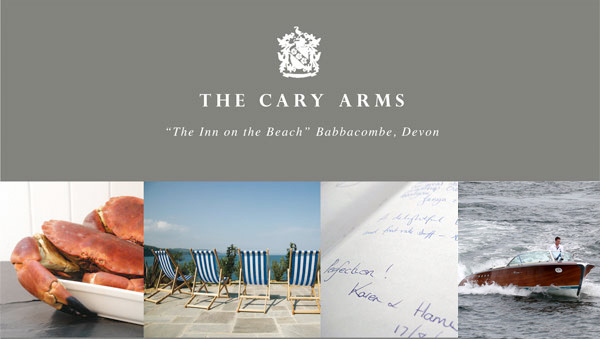 Sheltering in its own un�sung part of the South Devon coast, the Cary Arms is a friendly place for all seasons. Blustery and wild, romantic and surprising, sunny and warm - all the elements that hark back to real English seaside fun. Enjoy sundowners and sausages on the terraces to kick start a relaxing weekend in Devon full of luxuries and simple pleasures. The young are welcomed with their very own Cary Arms fishing net and bait, for days to be spent hitting the rock pools and surrounding waters. Our dog friendly rooms come equipped with a dog bed and bowl. Come stay and see for yourself. If you're coming by boat, we can offer you an overnight mooring. 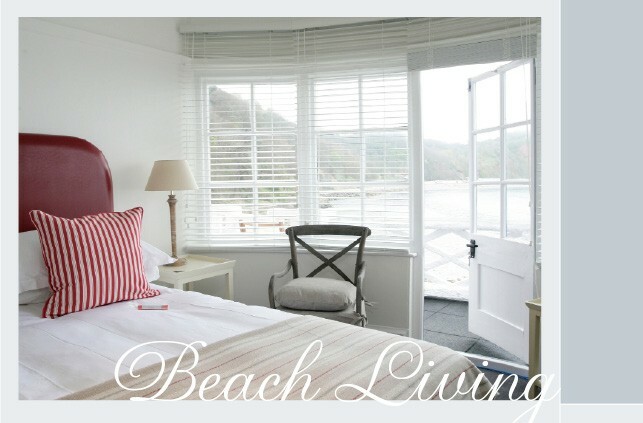 Created by the de Savary's and awarded 5 Visit Britain stars, this is a perfect luxury Devon Inn to enjoy chic beach-side living with all the pleasures and freedom of the South Devon coast. "It's a beautiful spot...red cliffs and rocks with wooded hills like Italy and reminding one of a ballet or play where nymphs appear - such rocks and grottoes, with the deepest sea on which there was no ripple." Exclusive to the South-West, the Cary Arms has chosen leading Parisian spa and skincare brand Yon-Ka as our sepcialist spa brand. Enter the world of Yon-Ka for a unique aromatic experience where every fragrance brings harmony. Yon-ka gives you over 50 years of experience through a wide array of holistic, custom treatments providing instant visible results. With a delightful and professionally equipped treatment room, The Spa Room at the Cary Arms in Devon, offers guests the chance for total relaxation and indulgence allowing you to rejuvenate and revitalise while enjoying the surroundings and taking in the South Devon view. Treatments are available daily from 8am - 7pm by appointment and bespoke treament combination packages can be arranged with our qualified Yon-Ka therapist. Everyone needs a little pampering, whether on your day off, in between your working hours or just generally because you want to. 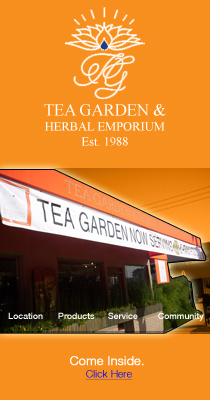 Enjoy the taste of our fruity herbal tea before enjoying your exclusive Yon-Ka Rose Candle or Face and Body Glow massage and 'healthy booster' light lunch. Have a look at the perfect Spa treatment for you. Gift Vouchers are available on request.